Hillary’s trip to India has been controversial due to her remarks about the Trump White House and its supporters. Without saying the actual word, Clinton pretty much said that anyone who voted for Trump is deplorable, a racist, and a misogynist. 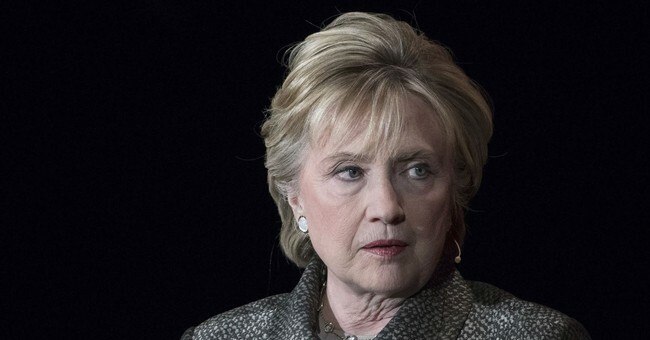 Clinton also channeled her inner-northeastern elitism, saying while she lost to Donald J. Trump in one of the most stunning political upsets in American political history, she dominated the areas that matter. In other words, screw rural voters and anyone who doesn’t have a college degree. And as you can see, Hillary's fine after this slight fall, though her stumbling around does pretty much personify her 2016 campaign.